There's nothing I love more than adding a blazer to my closet arsenal. 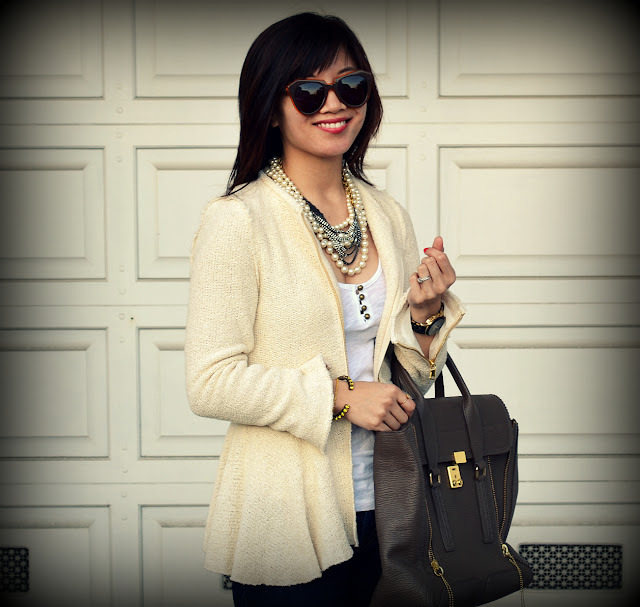 The type of blazer you get can easily chic-ify an outfit without much effort. This one from Zara comes in a classic ivory color, feels amazingly comfortable and has a bit of character with it's zipper details and peplum cut. I am just about over the moon about it and I'm thrilled to add it to my collection. 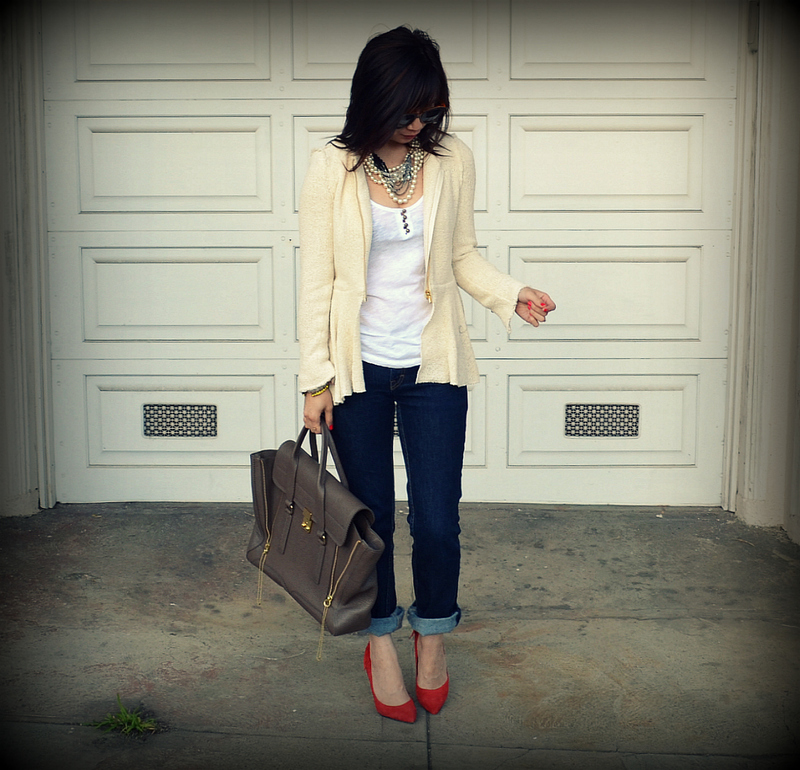 I love the cream and denim with that great pop of red. Those heels are fabulous! The jewelry looks awesome too. 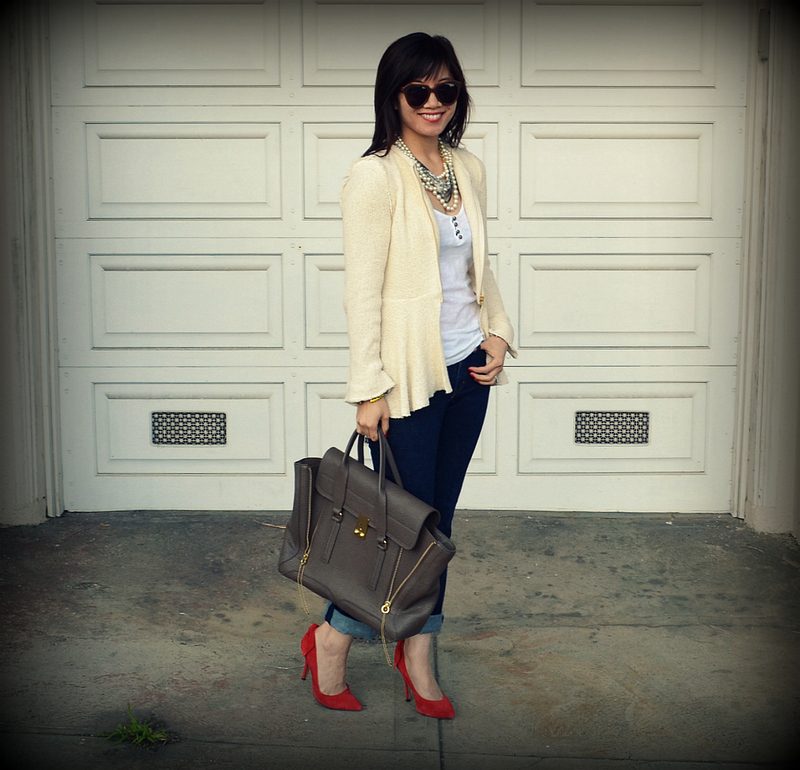 i'm obsessed with this blazer - it is perfect. I love that you kept the look simple (a little bit Parisienne!) 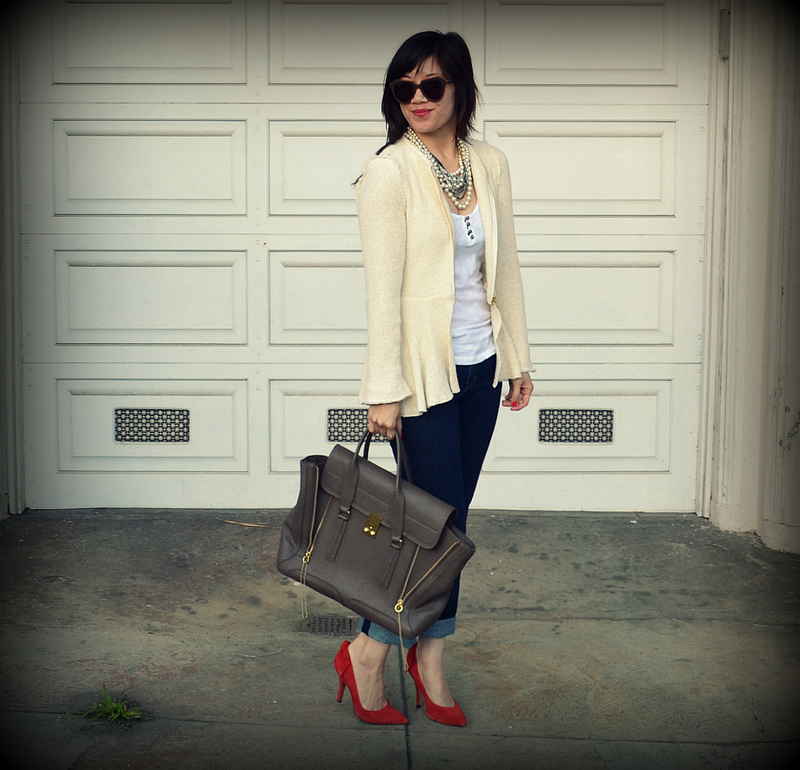 with the red heels and denim. I hope you're having a great week. I LOVE your blazer! The peplum is so cute! Cute outfit! I love the pop of red with the shoes! You look so cute and love the pop of red with the neutrals! Me too, I can never have enough blazers! I am always a little shocked when I see ivory and white working great together! Fantastic outfit from head to toe! this outfit is FAB. so in love with that blazer - looks like the perfect piece to have! It looks seasonless! 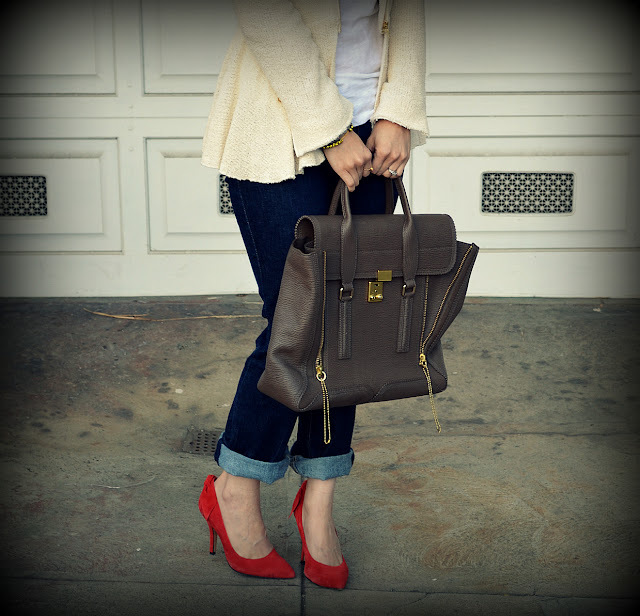 Nice bag...and my beloved bow shoes! I so adore your style- I don't think I could pull it off, but I really enjoy your photos! i love this blazer. it looks so chic and also comfy! and you paired it perfectly with those jeans and shoes (and that amazing bag)! oh my gosh i ADORE this outfit. EEEEEEK! you look GORGEOUS! every time you wear that bag I just love it.